There are a number of things that can be optimized, from your headline text, hero images, videos. The list goes on and on. If you're curious about how to optimize this conversion gatekeeper, then look no further. 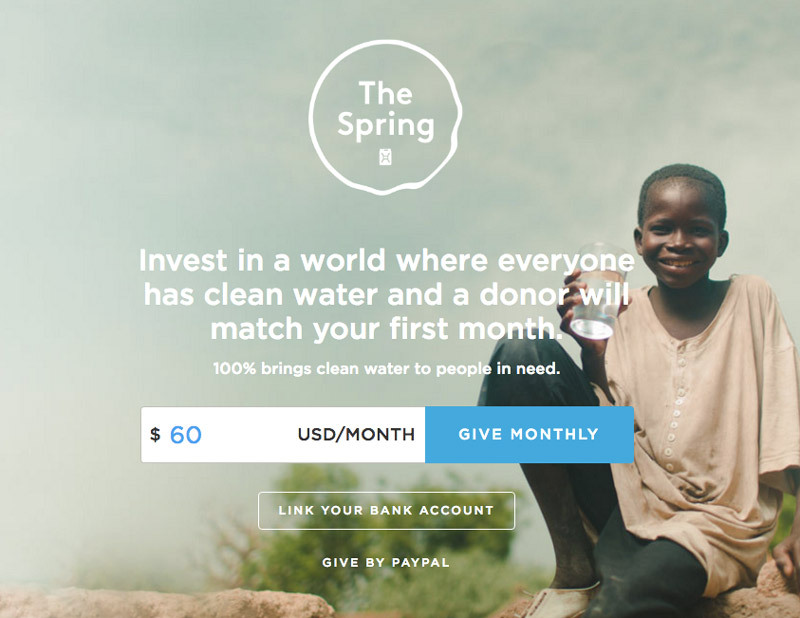 We've scoured the web for 42 of the best call-to-action examples to date. When it comes to call-to-action tips and tricks, there's almost nothing that works as well as making your call-to-action state exactly what a user is doing. Notice how these are all based around the exact action that is happening once a user clicks on a CTA? Klientboost does a great job of encouraging users to subscribe to their newsletter by not only providing a popup that's designed well, but also by making their CTA clear, bold, and straight to the point. A big mistake rookie marketers can make when designing their call-to-action's is failing to add enough contrast between the CTA and the page background. As a basic rule of conversion rate optimization, your CTA should always have a significant amount of contrast between itself and everything around it. Notice how this example uses red, a color not seen anywhere else on the page as the CTA? Because of this, the CTA stands out boldly and commands a user's attention. Regardless of whether they have a directional cue or not, your focus will eventually go to that red "Sign Up" button. ConversionXL uses a bold red CTA that stands out from the rest of the page. What's interesting about this example is also how they managed to slip in a benefit oriented statement into the CTA text. 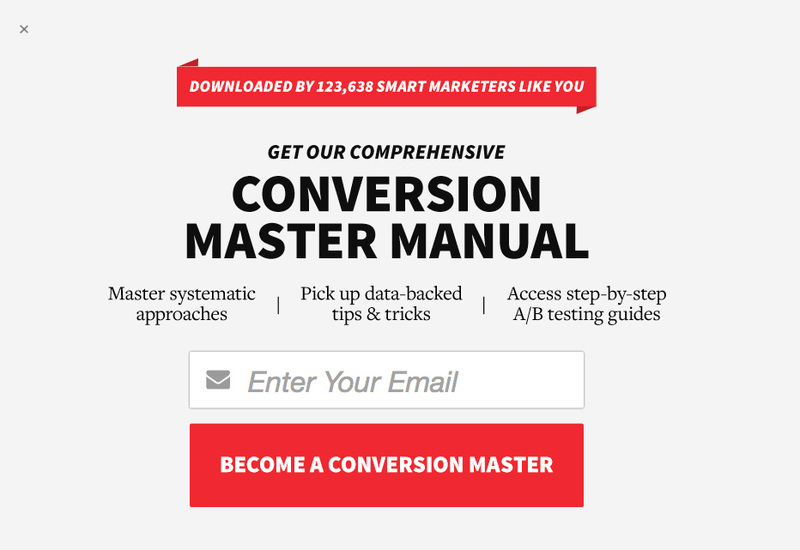 Rather than choosing a simple CTA like "subscribe", ConversionXL chose to go with "BECOME A CONVERSION MASTER". Because of this, when thinking about signing up for their newsletter, users are already primed for the value that they'll be receiving, and may be more likely to convert as a result. Groove places this call-to-action below their different blog posts in order to prompt users to sign up for their newsletter. 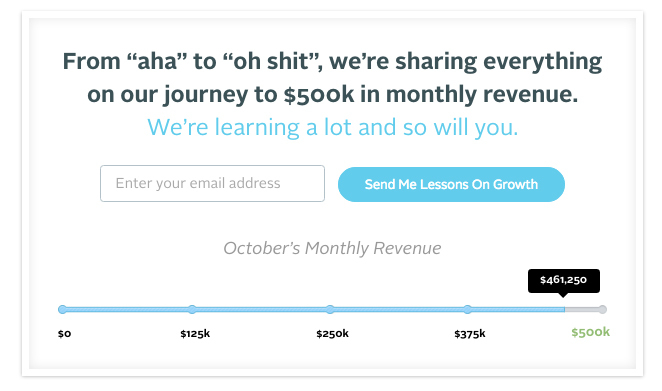 What stands out about this call-to-action is how clicking on it directly benefits the user: by sending them lessons on growth. The entire form works to make users feel invested in the entire Groove experience by showing them a small chart of Groove's progress, while also allowing them to signup to get updates in real time. Looking for a new a fresh way to position your content? Try phrasing free access to your content upgrades as "free lifetime access". This is one way to increase the perceived value of your products, while also making the contents of the content upgrade more exciting. Product Hunt has a CTA banner that appears above their website prompting users to subscribe to the Product Hunt newsletter. What's great about this type of CTA is that it's very non intrusive, allows users to close it if they want to (on the far right), and provides a clear value proposition of delivering new products to your inbox on a daily basis. The CTA itself uses a high contrasting colour, and a simple subscribe button to convert users. Nerd Fitness showcases a banner on their website that prompts users to sign up for their fitness newsletter. What's interesting about this banner, is that it frames joining their newsletter as a way of "unlocking" a number of different resources. They also do a great job in using social credibility to encourage users to join by stating that you'll be joining a growing community of over 299,000 like minded people. The CTA in this example is also simple and straight to the point with "I'm In!" This is an action oriented and easy way to get people excited about signing up. There are a number of factors that go into the psychology of conversion. In the case of this example from Problogger, we see the use of language within the call-to-action in order to emphasize a first person action. Rather than stating "Get Your Blog Post Prompts", they rephrased it to say "Get My Blog Post Prompts". This subtle change can help increase the perceived ownership of the gated content by simply changing "Your" with "My". At Wishpond we've written extensively on the power of click popups and their ability to increase conversions. Well the Smart Passive Income blog does a great job of showcasing a great looking banner, while reducing friction by making the CTA as simple as possible. The CTA on this page works for two reasons, first it reduces the ask of each user by simply asking them to click in order to convert, and secondly it specifies exactly what a user should do in order to continue, "Click Here to Subscribe". This example comes from Squares homepage where they succinctly describe the core value proposition in just a few words: Start selling in Canada today. Using this simple messaging, Square is able to quickly communicate how their app can benefit users, and their CTA below gives immediate steps in order to get started. While "Signup with Square" might seem like a very simple CTA, it does follow CTA best practices in terms of stating exactly what the CTA button will do, while also keeping it directly tied to the other content on the page. Now landing page best practices generally recommends sticking to one dedicated specific call-to-action per page. That being said, anyone seasoned in conversion rate optimization knows that best practices are one thing, and testing is everything. Well this example from Stripe might be an example of the latter. The above example shows not one, but two CTA's on Stripes homepage allowing users to either explore their app, or create an account and get setup. In the case of a homepage where you have a lot of different inbound traffic, some of which are more acquainted with your product than another, it may make sense to use two CTA's offering users to "learn more" while also giving more seasoned users the opportunity to "get started". That being said it's all about testing and data, so make sure to not blindly apply anything you see online. Remember to test it for yourself to determine what's best. Joanna Wiebe once suggested to test headline and CTA copy together. Well this landing page from Ancestry is a great example of that. By changing the CTA to "Save Now" in order to correspond with the special promotion Ancestry was running at the time, they were able to reinforce the discount that the page was offering, and in turn potentially increase the total number of conversions. Remember that next time you have a promotion or sale running! One of the best ways to keep your users engaged on your pages is to provide a clear action oriented call-to-action that tells them exactly how to get started. Well this example from Spoty is a great example of that. 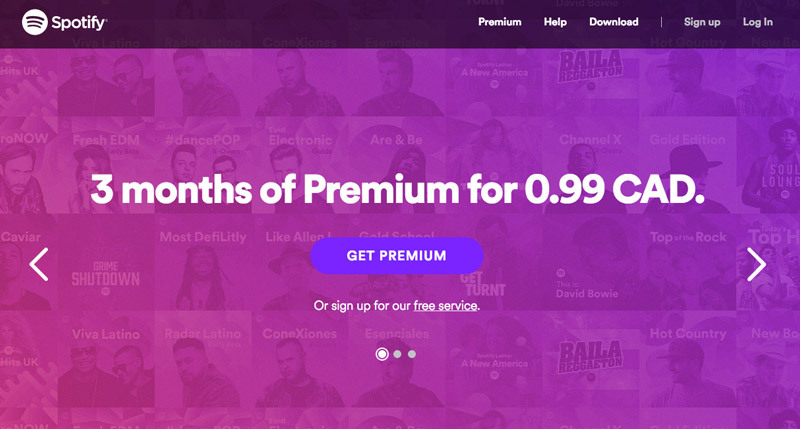 On this page we see a very simple headline that breaks down the core offering: "3 months of Premium for .99 CAD". Especially since the price is so low, this is a quick an easy way for users to quickly take advantage of the offering their seeing on this page. One of the most unique things about his CTA from Feedly is that they combine the action of upgrading with the benefit of saving. By combining the two, they're able to double the incentive for users to convert, while also keeping the CTA hyper relevant the pages offer. 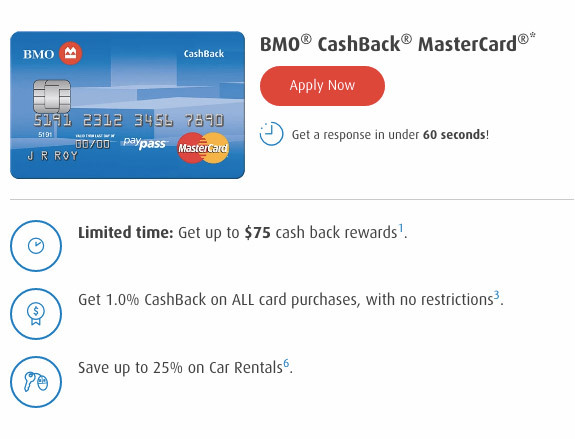 This is a great example from BMO of how to create a call-to-action that action oriented, contrasting, and focused on the specific product at hand. Notice how underneath the CTA they also put the disclaimer "get a response in under 60 seconds" in order to combat any objections users might have about how long the application process might take. As a tip, when optimizing your CTA's, always remember to take into consideration the immediate area around the CTA. Often these areas can have a high impact on the overall effectiveness of your CTA. Things you might want to add could include guarantees, company phone numbers, testimonials, or expected turnaround times. Medium is an online publishing platform that's very popular with bloggers from all spaces. Since they touch on such a wide range of topics, it's understandable why they would have a rather ambiguous headline to explain the different types of bloggers and content that's on the platform. They use a simple "Get started" CTA which is straight to the point and action oriented. They were also careful to choose contrasting colors to ensure that the CTA pops off the page. RBC displays this banner underneath some of their different product pages related to investments and investment management. This CTA is a great example of using a contrasting CTA color, along with how to incorporate immediacy into a CTA by adding the "today" portion of the CTA text. Google uses a simple landing page to welcome users to their Google Drive app. 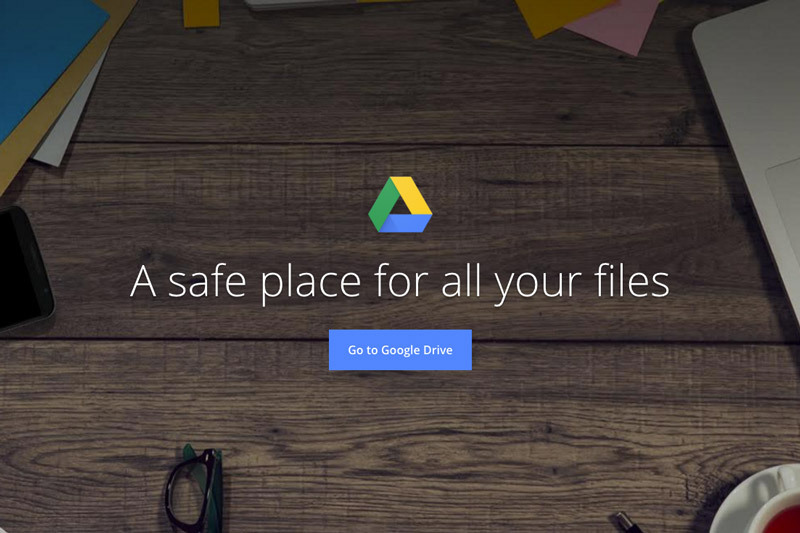 They use a clear benefit oriented headline which states "A safe place for all your files", combined with an easy to follow CTA that says "Go to Google Drive". This landing page is an excellent example of how simple a headline can be, while still providing insights into the key benefits a product can provide. Compared with the previous Google Drive landing page, this product page from Mailchimp is night and day. 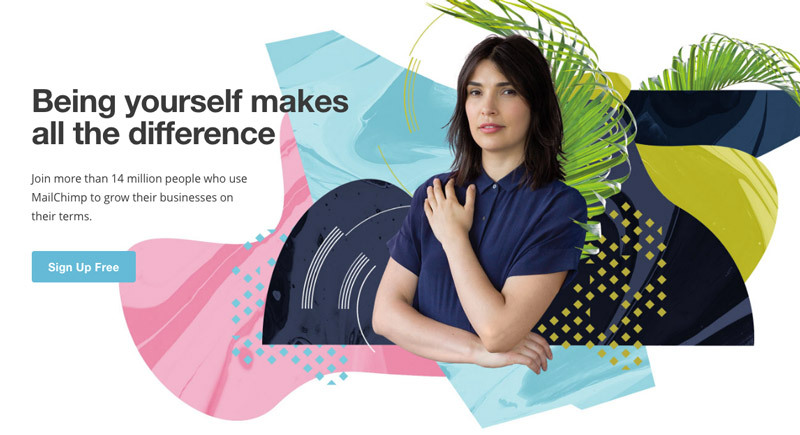 Mailchimp uses a very ambiguous headline, combined with very artistic imagery to express elements of their brand. The CTA however is clear and to the point. By choosing "Sign up Free" they are able to combat any objections users might have about price or commitment. 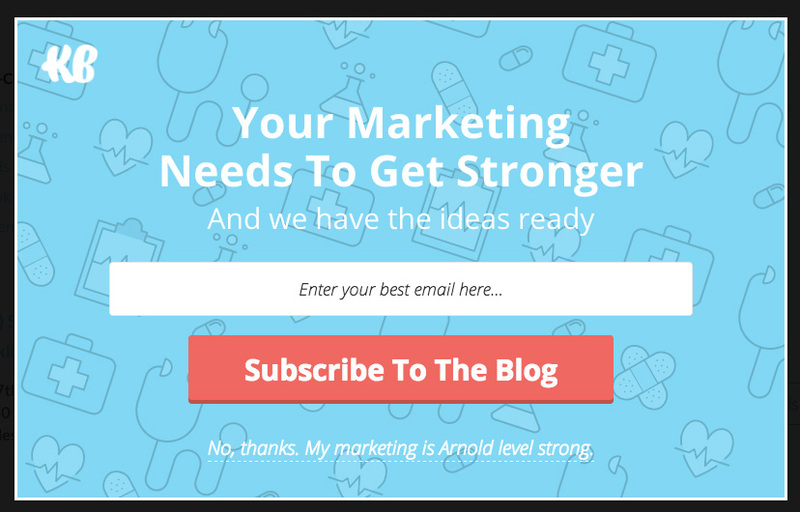 This is an example of a banner that Neil Patel uses on his blog in order to prompt users to learn more about his courses and consulting services. The CTA he decided to use "Learn More" is a low ask for any user, especially since they won't need to "sign up", or "subscribe". By positioning the CTA as simply an opportunity to find out more about how Neil helped a business to grow, he's able to reduce friction and drive more users to his subsequent landing page. 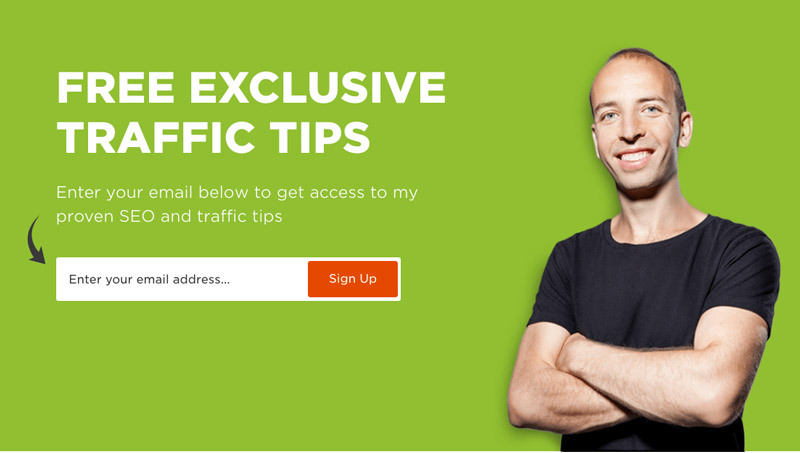 This is an example from Qualaroo's homepage where there's a clear call-to-action to get users to sign up for their free trial. Notice how in the formfield they ask for a user's "work email address" since they know that's the email they'll likely check the most and feels less valuable than their personal one. Beside that is a simple CTA that states "Start Free Trial", which is exactly the action that a user will take when they click. 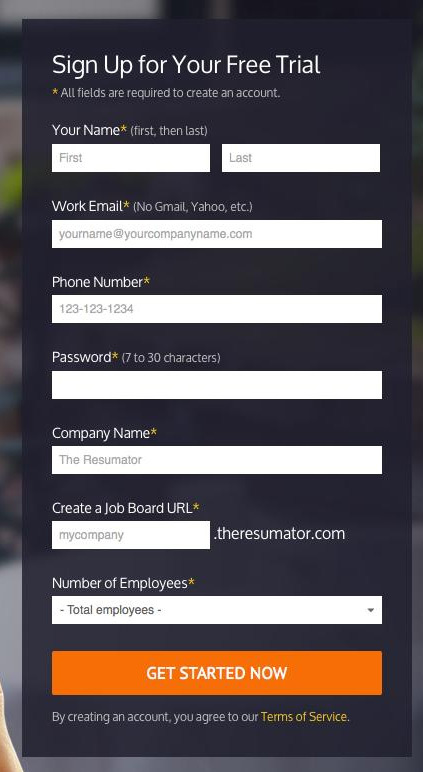 Resumator uses a clear and contrasting call-to-action on the bottom of their free trial form that reads "Get Started Now". Pipedrive displays a simple form at the bottom of their different product pages in order to prompt users to signup for a free trial. What's interesting to note about this form is that the password field comes with a default password already typed, but allows for a user to edit it if they'd like. This reduces the total amount of effort that a user needs to invest in order to convert. Pipedrive also uses a action oriented CTA with "Get Started Free", and a CTA color that helps distinguish it from the rest of the page. SEM Rush uses a one line form that asks for a user's domain in order to get started with a free trial. The CTA text that they choose, "Try it" is a very simple CTA that succinctly describes the next step a user will take in the conversion process, trying it out. This is an interesting example from AWeber where they combine the question asked in the headline, with the subsequent answer in their CTA. Notice how the CTA button is also massive, making it the biggest focal point on the page. 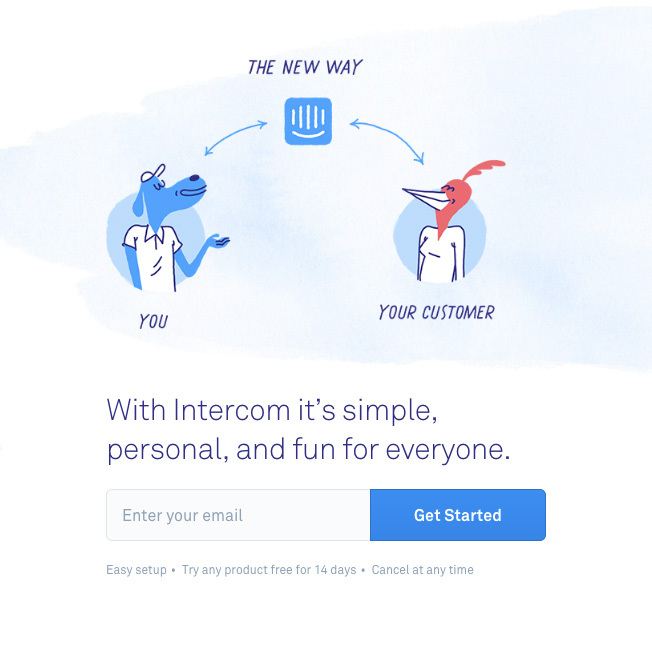 Here is an example of a product CTA to sign up for Intercom 14 day free trial. The CTA text "Get Started" is complimented by a couple bullet points underneath that speak to any objections users might have about signing up. For instance they mention that it's easy to setup and that you can cancel at anytime. Here's an example of a content upgrade from Razor Social. On it they offer a free cheat sheet by filling out first name and email fields. 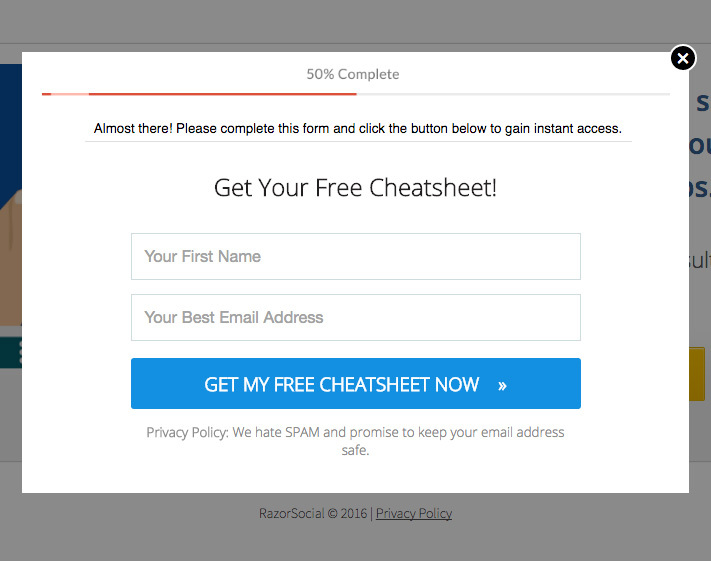 The call-to-action on this popup is clear and action oriented, "Get My Free Cheatsheet Now". Try adding the small arrow on the right of your CTA text to see how that affects your CTA's conversion rate! Marie Forleo offers a free audio training course as a content upgrade for visitors to her blog. Going against typical CTA best practices, Marie made her CTA black and subtle, and choose "Yes Please!" as the CTA text. This content upgrade is a great example of how you should test everything to determine what resonates with your audience, while also using CTA text and copy that's inline with your brand voice. This is an example of a full page landing page offering a free excel template as a content upgrade. 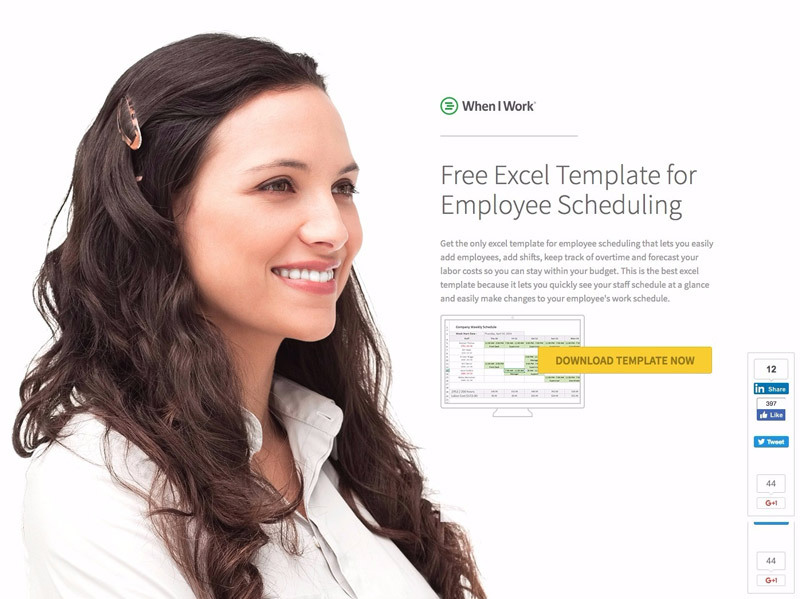 Notice how the hero shot of the female looks straight at the landing page headline, at which time a users attention is automatically drawn towards the yellow CTA that says "Download Template Now". The great thing about this CTA is how it's specific to the content of the page (the template), and provides clear instructions on the exact next step that a user will take once they click on the button. 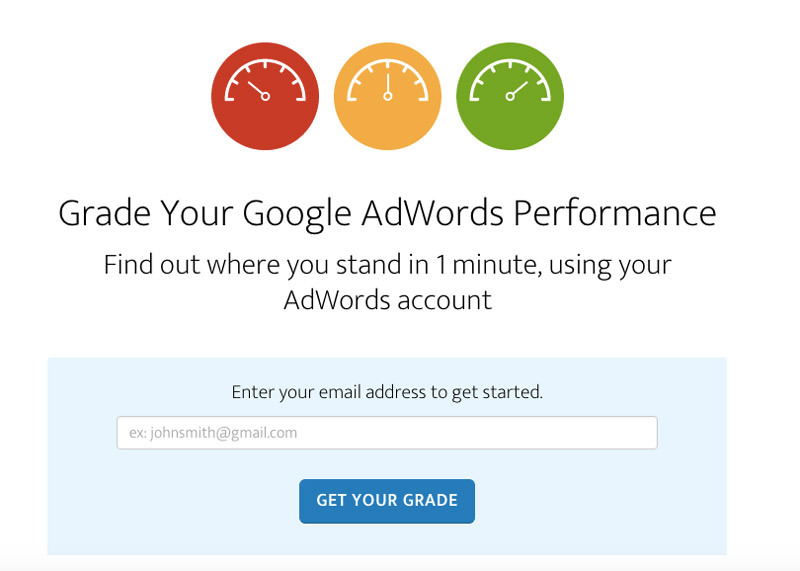 This is an example of a free tool that Wordstream offers allowing users to get a free performance report of their AdWords account. What's great about this CTA is how it's clear and to the point, while also tied specifically to the action a use is taking; getting their grade. 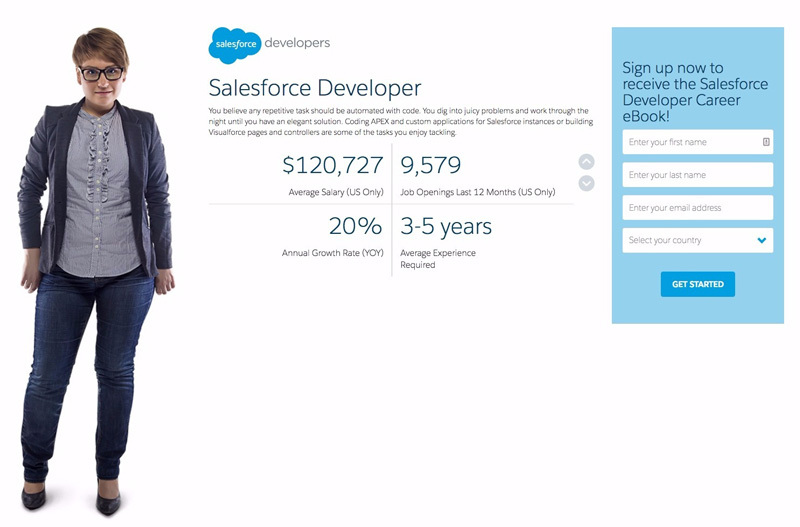 Salesforce did a great job of creating an ebook landing page targeting a specific persona. By providing an example of what type of content would be in the ebook, they are able to intrigue readers to convert on their form. The CTA text "Get Started" has proven to be one of the highest converting CTA's (especially spread across different industries). If ever in doubt, give "Get Started" a try on your own landing pages today. 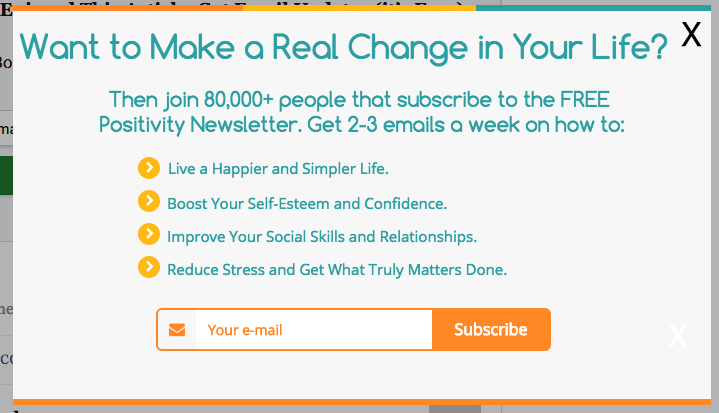 The Happiness Blog has a simple popup that appears prompting users to sign up for their email newsletter. 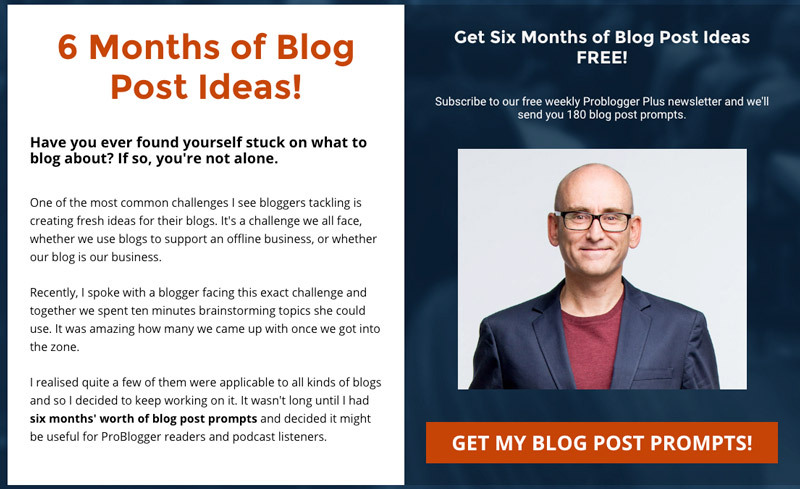 They make good use of social credibility by adding "join 80,000+ people" within the subheadline of the popup, along with a number of bullet points that helps summarize the main benefits of subscribing to the blog. The CTA itself however is a rather simple one with the CTA text being simply "Subscribe". 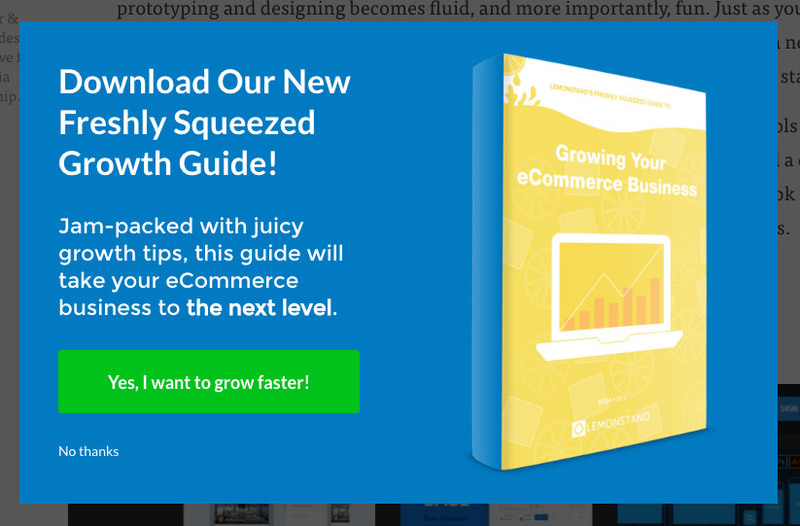 Lemonstand triggers a popup offering a growth guide to visitors of their blog. Rather than choosing a CTA like "Get the Guide" or "Get Started", they chose to use CTA text that succinctly explains the key pain point that a user would be trying to address by downloading the guide. In this case, growing faster. This webinar page uses good contrast between the CTA and the rest of the page. Notice how in this example, they also underlined the CTA to indicate that it's a link worth clicking. Based on our research "Reserve My Seat" is one of the most popular CTA text for webinars, which would indicate that it likely performs well and might be worth testing on your own webinar page! This is an example of a webinar CTA for one of Wishpond's webinars. 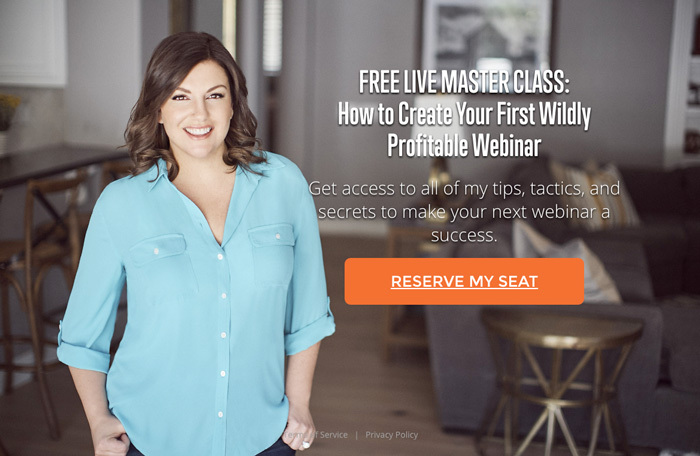 In this example, the CTA color is highly contrasting from the rest of the page, and the CTA text of "Save My Free Spot" helps to reiterate that the webinar is free, and that there's a need to save a spot in case they might miss out. 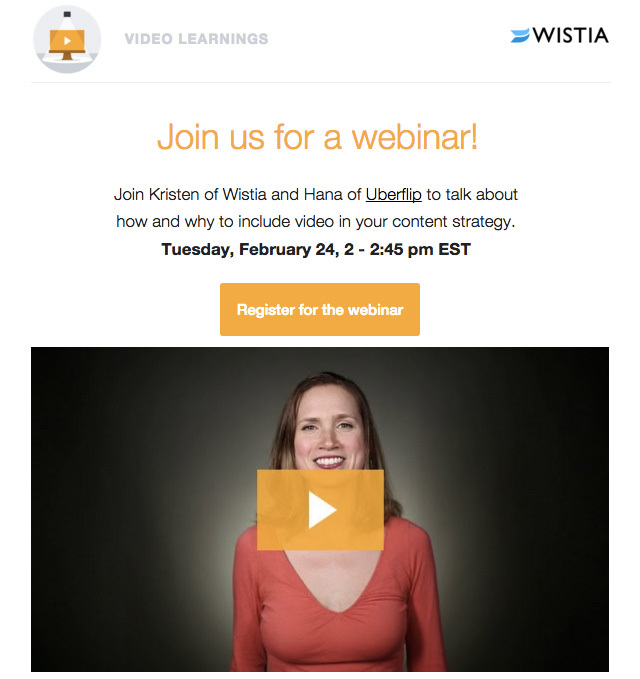 Wistia does a great job of incorporating best practices into this webinar landing page. Notice how they used the same color for the headline, CTA, and play button on the video? This is to help emphasize the important points of the page and keep a user's attention focused. The CTA text "Register for the webinar" is simple, but works well to explain exactly what clicking the CTA will do. At Wishpond we run a lot of Webinars, that's why we've included another example of a webinar landing page for your reference. 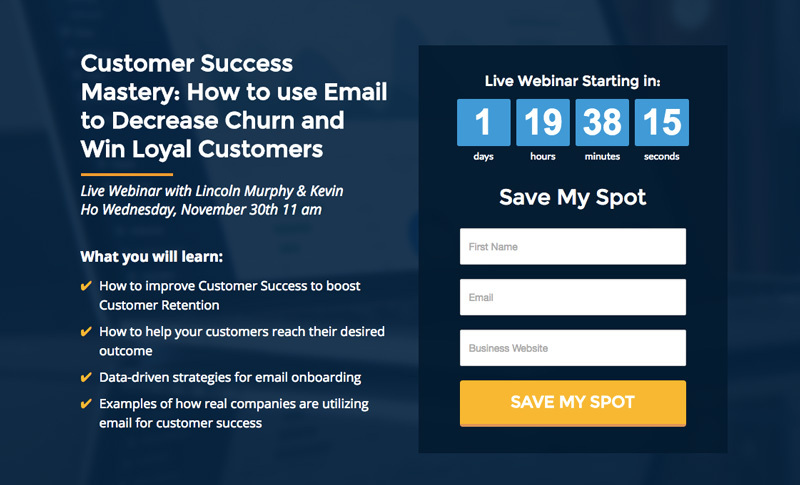 Notice how the CTA button in this webinar landing page is large, contrasting, and matches the text above the form? This is important in reiterating the purpose of the CTA, and give a reason behind why someone would want to convert. The "my" in "save my spot" also speaks to a users in first person rather than using "save your spot". Based on our testing, we've found that this small change has positively impacted overall conversion rates. World Vision does a good job of making their CTA's simple and straight to the point. After giving some context about how donors can help by donating, their CTA "Give Now" does a great job of reinforcing the action that a user is about to take. 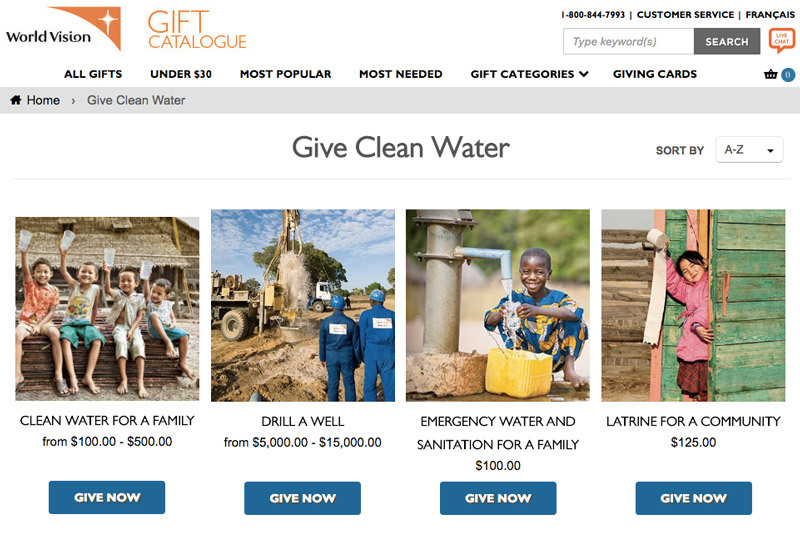 Charity Water is a charity that helps provide clean water to those who don't have access to it around the globe. Since they spend a large portion of their time explaining how they program works, the CTA "Give Monthly" is a clear and straightforward call-to-action about what converting will entail. 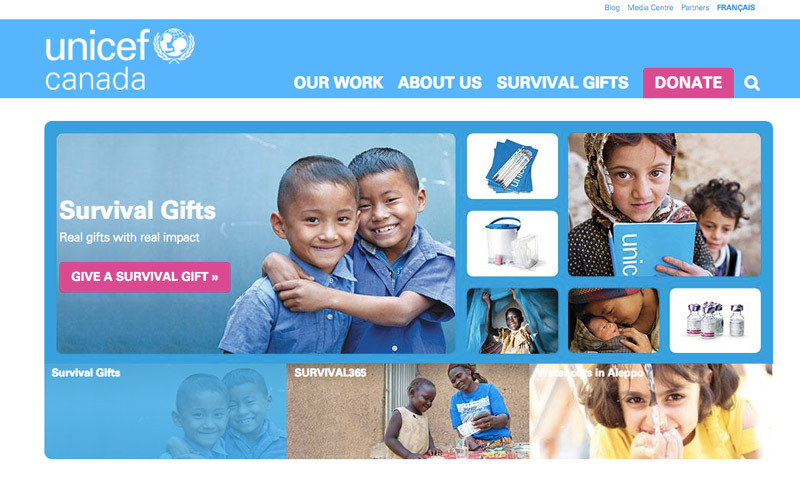 This above example is the homepage for Unicef, a charity that accepts donations to help children around the world. What's interesting about this example, is how they have two main CTA's on the page, both with the same color, but with different CTA text. The CTA on the top right is straightforward with the word "donate", and the lower CTA is much more specific with "give a survival gift". 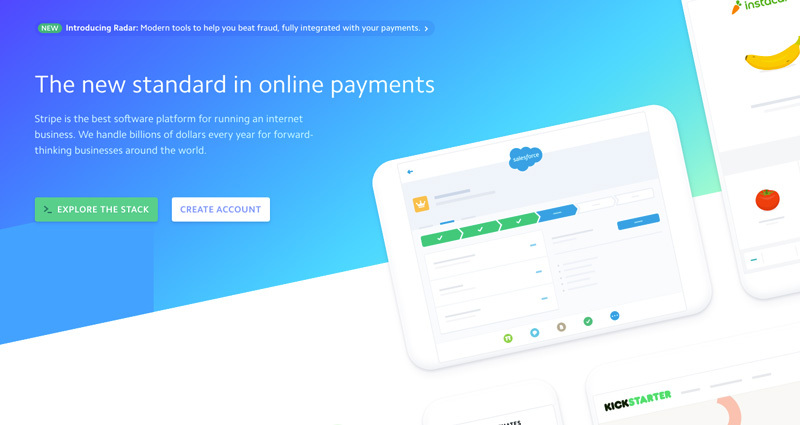 This is a good example of how you can keep your CTA's consistent on a page through things like color, but also prompt users with specific actions by changing the CTA text. One of the primary things you want to ensure when coming up with your CTA's is that your headline messaging and CTA text are aligned. This is a great example of that as we see the same language "schedule demo" are used both in the headline, and in the CTA text as well. This makes it clear exactly what a user is doing when they sign up, and can help reduce friction on a page. We've talked a lot about creating CTA's that are action oriented. 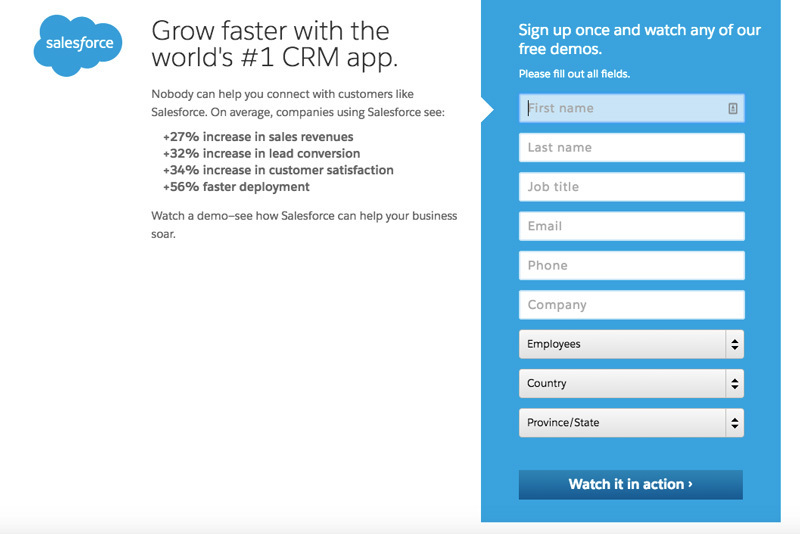 Well Salesforce takes it to the next level by making their CTA text "watch it in action". Not only does this prompt a user to take action, it automatically implies that once a user converts on the form, something will happen. 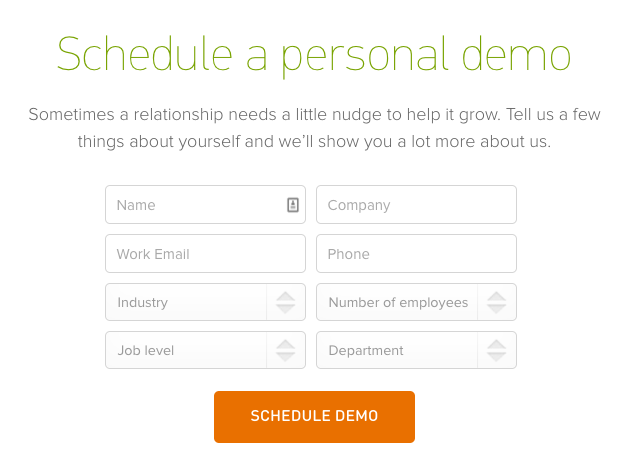 This is a great example of a way to make converting on a demo exciting, and something worth doing. Hopefully you found hope you found these 42 call-to-action examples useful! What works in one industry might not work for another, and what works for one business might be completely different than another.